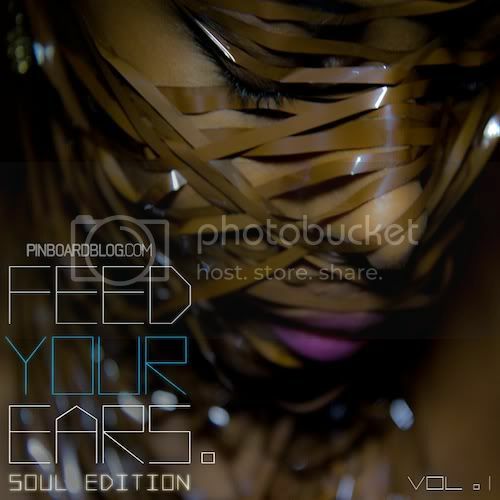 Download: Pinboard Blog Presents "Feed Your Ears Vol. 1"
I love the crew over at Pinboard, they're one of my favourite blogs around and today they've dropped their first EP. It features "alternative soul" artists Oliver DaySoul, Jimetta Rose, Peter Hadar, DivaGeek (Vula & Ben Jones), Fatima x Alex Nut, Brittany Bosco & Reggie B. As you know I'm always honest on here, even when talking about my friends, and I have to say that some of the songwriting isn't my cup of tea, but I'm sure loads of people will feel otherwise and there's definitely a lot of talent on here. Check it out and download it below.